What is Double Pigeon Pose? Double pigeon pose, or agnistambhasana in Sanskrit, is a challenging hip opener. It's also referred to as fire log pose. 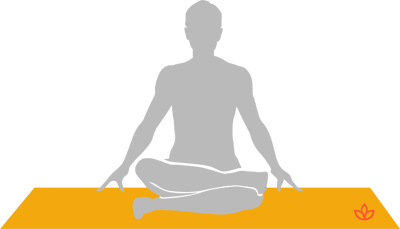 While seated, the legs are folded into a triangle shape so that one ankle stacks on top of the knee and the other ankle rests under the knee. Exhale and place one ankle on top of the opposite knee. Inhale and align the other ankle underneath the opposite knee.